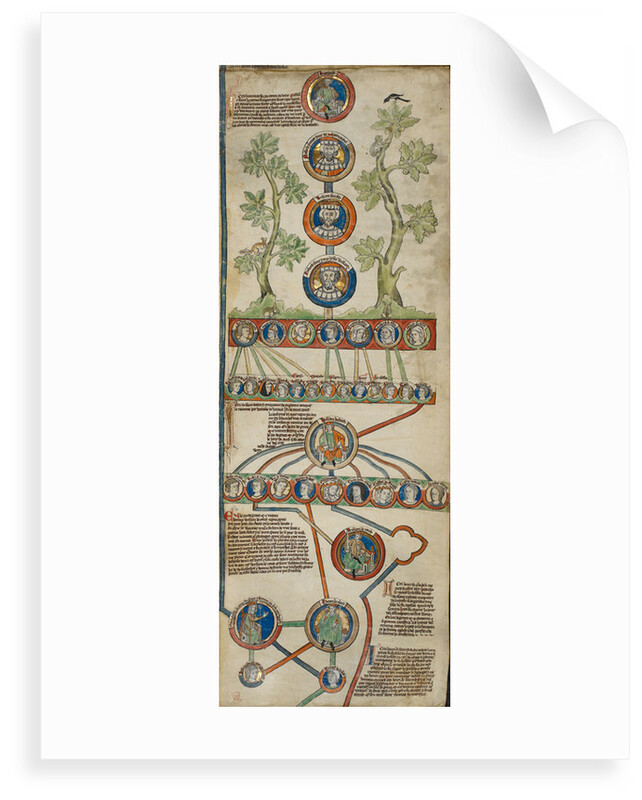 A genealogical chronicle of the kings of England, probably created in East Anglia, c. 1300–07. 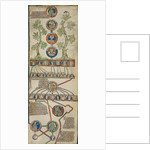 The scroll shows the genealogy of King John, back to his father, Henry II (r. 1154–89), including his grandmother, Matilda (d. 1118), the wife of King Henry I, with her ancestors Edmund Ironside (d. 1016) and Edward the Confessor (d. 1066). 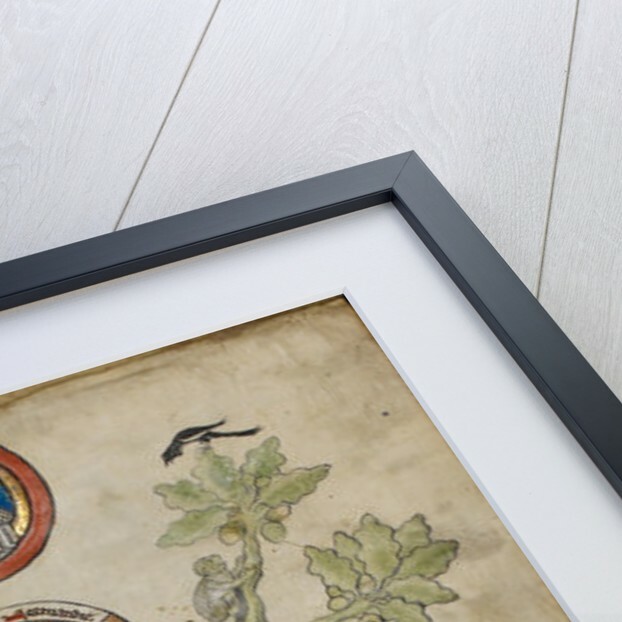 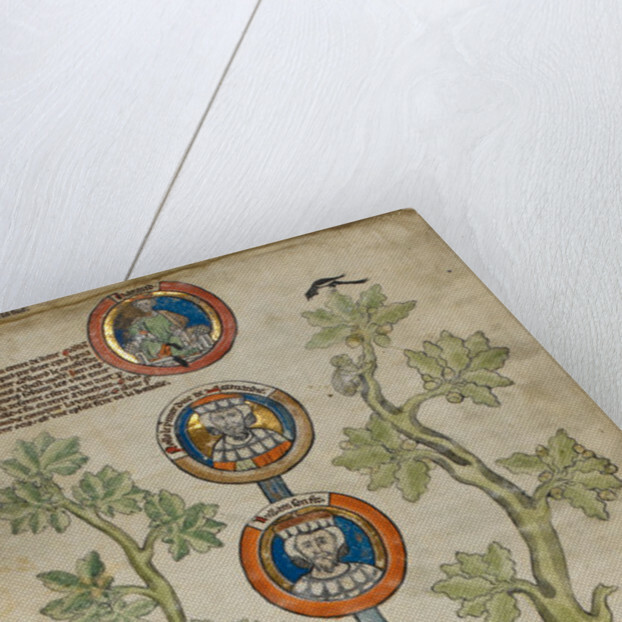 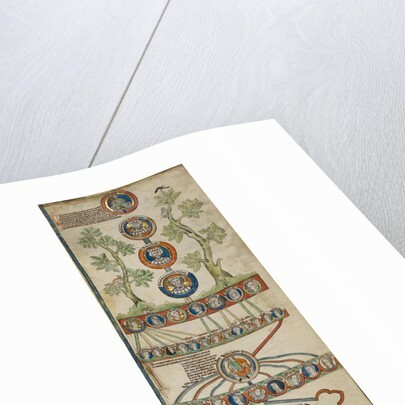 Explore the collections Magna Carta, Royal Manuscripts.